The pretty coastal town of Coles Bay is framed by the rugged pink-hued granite peaks of the Hazards mountains and the sheltered waters of Great Oyster Bay. 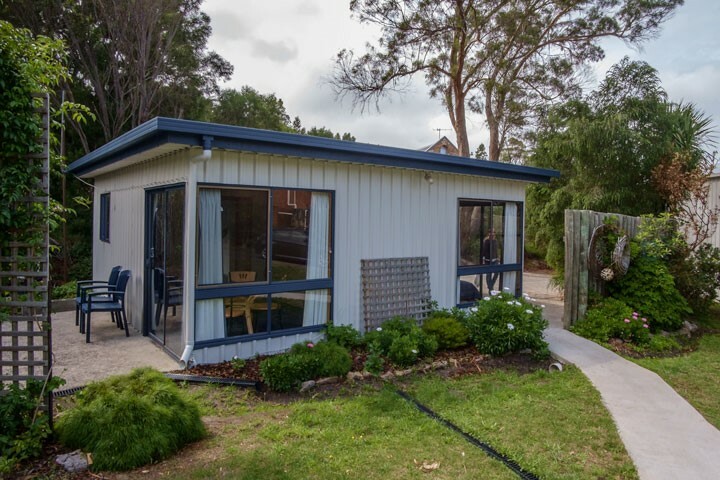 This is an excellent base from which to explore Freycinet National Park and Wineglass Bay, or to take a few days to relax in a beach house or apartment and experience a true beach holiday. Take a swim in the clear ocean, go fishing or enjoy a long walk at one of the local beaches, including Richardson’s, Muirs and the incredible Friendly Beaches. Freycinet National Park is a short drive from Coles Bay and can be explored in anything for a couple of hours to several days. Call in to the National Park Visitor Centre when you arrive to collect a map of the National Park and plan your visit. A must-do is the short walk to Wineglass Bay lookout, which offers gorgeous views of this world-famous bay, or, you can go a little further to walk on the sugar-white sand and take a dip in the sea. You can also choose from a range of longer walks in the national park—from half-day to multi-day bushwalks. Coles Bay and Freycinet is a hub for outdoor experiences—go sea kayaking, take a cruise to Wineglass Bay, join a luxury sailing and walking experience, jump on board a fishing charter, take a scenic flight over the Peninsula or try a four-wheel drive or quad bike experience. Or, just pack a picnic and lose an afternoon on one of the Peninsula’s beautiful beaches. Visit Coles Bay’s cafes and restaurants to enjoy everything from coffee and treats to a gourmet dinner of fresh local ingredients, or visit a local producer to sample mouth-watering east coast produce–especially east coast oysters, mussels, scallops and rock lobster (preferably accompanied by a fine east coast sparkling wine!). Ride the bumps and feel the breeze with ALL4Adventure’s guided ATV tours of Freycinet National Park. Enjoy an adventurous ride exploring the park’s stunning white beaches and striking granite peaks. Family friendly. Tours depart up to 3 times daily, year round. 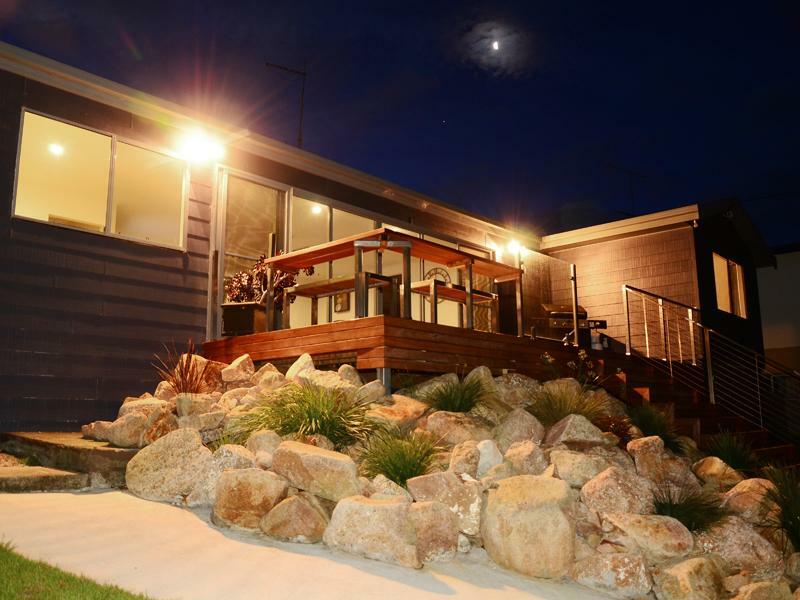 On the beach where the river meets the sea – set beside the picturesque Swan River Estuary only a few kilometres from the Freycinet National Park and Wineglass Bay – Alluvion Beach Cottage is a comfortable, modern and self-contained property. 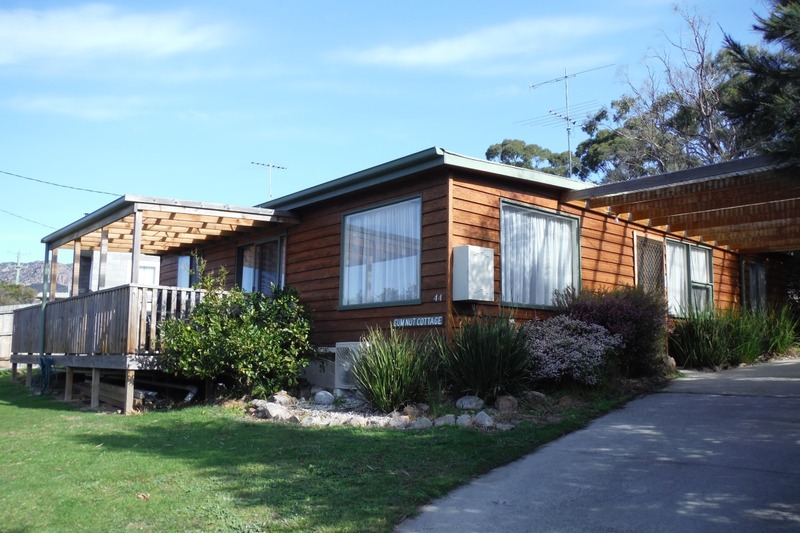 Secluded,comfortable accommodation ideal for family holidays,centrally situated between Friendly Beaches & Freycinet National Parks,adjacent to Pelican Bay a RAMSAR site (bird watchers paradise) Cottage has fenced yard & great covered BBQ area. Pets welcome (conditions apply). Accommodates 9 persons. Base rate $150 (includes 2 ) $25 per extra person Our Shucker’s Cottage 100 meters away accommodates 5 persons. Andy’s Tassie Trails are full immersion tours across our most loved parts of our island home. We showcase the regions produce and craft beverages. Our tours are a unique blend of gourmet trail and exciting adventures. We are dedicated to celebrating local produce, gourmet beverages and breathtaking scenery with an informative guide and designated driver whose passion for craft will take this experience to a whole new level. With so many amazing destinations and venues exploding onto the scene we’re excited to offer a range of experiences across Tasmania. The ultimate getaway for our adventure-seeking foodies! With local distilleries, national parks, oyster farms, cheese factories and so much more, Tasmania offers just about everything that could pique a traveller’s interest. Enjoy two nights of premium accommodation, all-inclusive locally-sourced food, spectacular scenery and three days of local adventures in one of the country’s most beautiful states. Ar lan y môr* is an elevated two bedroom house with an open plan kitchen, dining and lounge area, plus bathroom, toilet, laundry and two decks. The front deck, main living area and front bedroom have views of the Freycinet Peninsula, Schouten and Maria Islands and Great Oyster Bay. Ar lan y môr is ideal for one or two couples or two friends requiring separate bedrooms. With queen beds, it has not been set up to cater for children. Azure Beach House is everything you imagine of a true beach house. Self contained, Azure sleeps up to seven guests across three bedrooms with all the modern conveniences of home. Fronting directly onto Great Oyster Bay you’ll enjoy 180° panoramic ocean and beach views with direct access to a safe, sandy beach. Be captivated by the total peace and tranquillity! 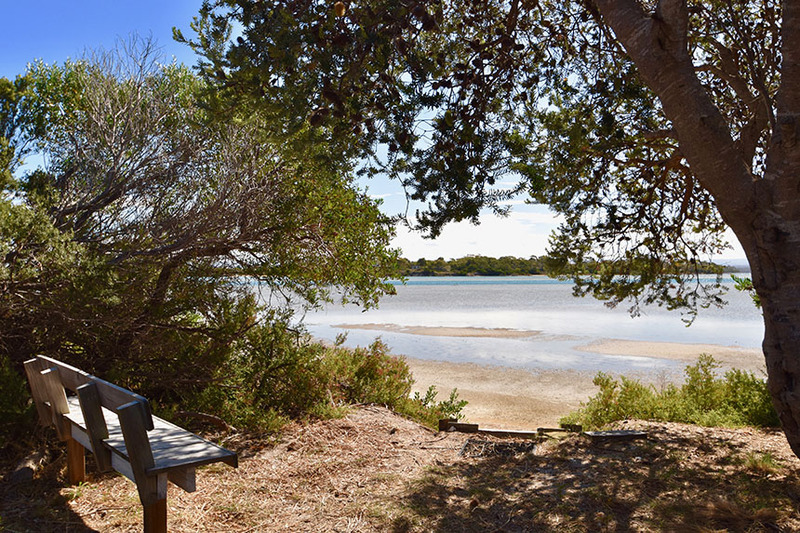 Bayside offers accommodation for a couple only and is situated in the heart of Coles Bay, close to restaurants and shops. The views to the Hazards are spectacular. Off street parking provided. Pet friendly. This elevated passive solar two bedroom beach house with open plan kitchen, dining and lounge area, accommodates up to 5 people. Views are to Great Oyster Bay and the ranges beyond. Beach a 5 minute walk. Timetables, information & links on website. 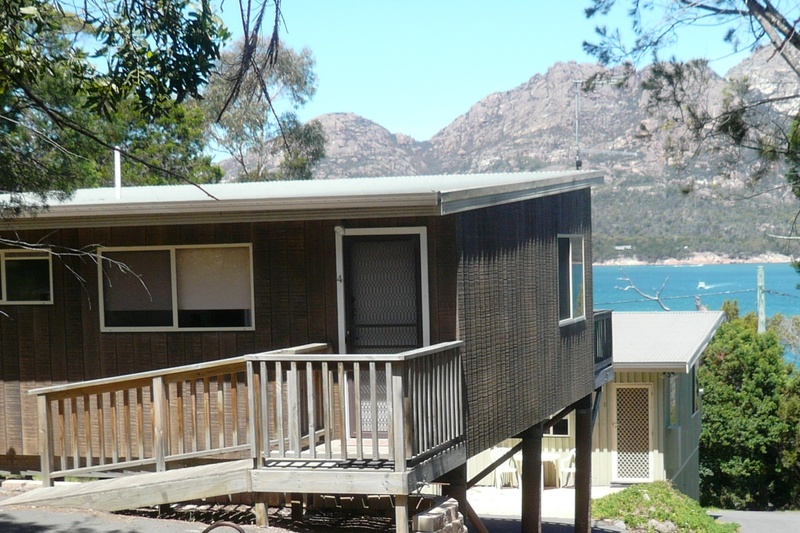 The BIG4 Iluka on Freycinet offers cabin, hostel and camping accommodation overlooking Muirs Beach. Supermarket, tavern, bistro, bakery and coffee shop are also on site. Free WiFi available. Tariff from: $30 – $185. 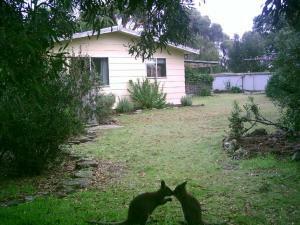 Adjacent to BIG4 Caravan Park & Muirs swimming beach, and along The scenic Esplanade Drive, Coles Bay Township. Ample parking for motor homes & caravans. Supermarket stocks: Papers, magazines, groceries lines, fresh fruits & vegetables, Meats & small goods / Fresh fish & Seafood / Hardware, fishing gear, gas exchange & refills / Fuel & information for breakdown emergencies. 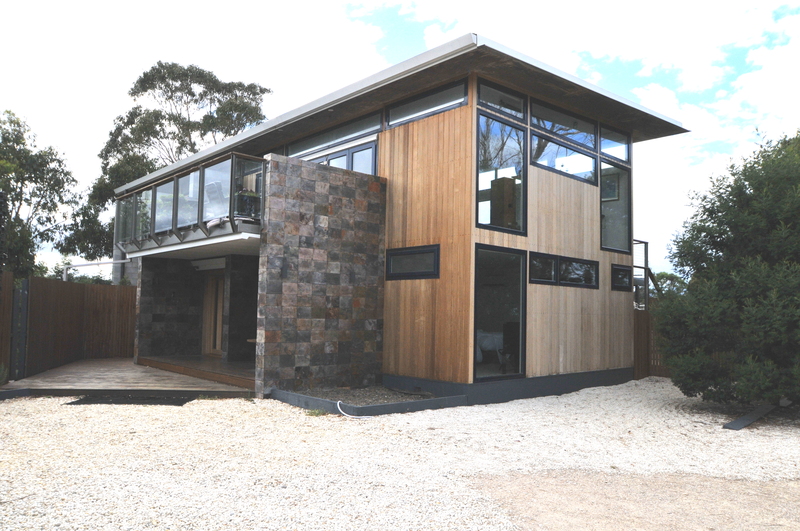 Coles Bay Retreat is on the Freycinet Peninsular, our property overlooks “The Hazzards” and “Coles Bay”. 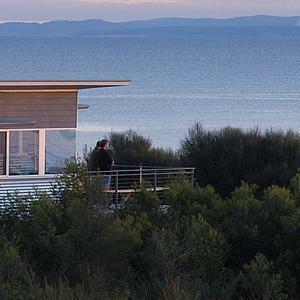 The full length windows allow guests a panoramic view of the Freycinet National Park. Tariff from: $130 – $280. 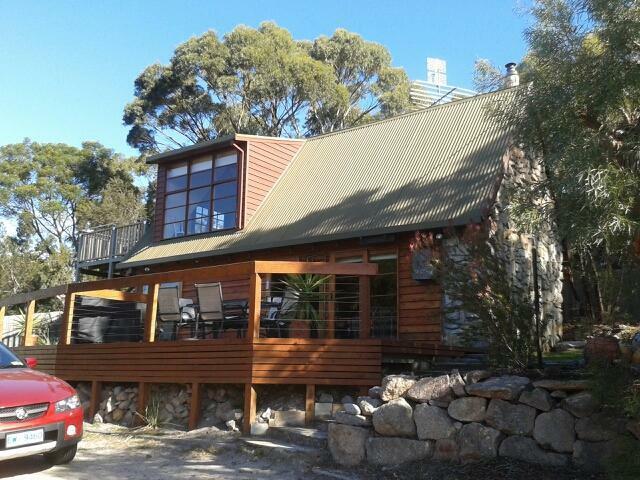 Coles Bay Retreat Cottage is on the Freycinet Peninsular, our property overlooks “The Hazards” and “Coles Bay”. 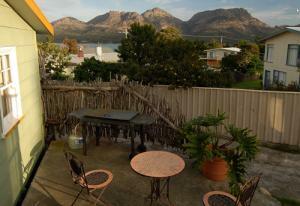 Located in the heart of Coles Bay, right on the waterfront, these 2 funky apartments offer great views. Escape to this cosy and intimate hideaway in winter, or enjoy the long days and great outdoors in summer. Tariff from: $155. Cove Cottage was one of the original ‘shacks’ in the Fisheries, built in the 1940’s, and when renovated and extended a few years ago the architect and builder were sympathetic to the much beloved ‘Tassie-shack feel.’ The accommodation offers privacy and comfortable, relaxed accommodation. Cove Cottage is licensed to sleep 6+ people in four bedrooms. This spacious and well equipped double A-frame 3 bedroom holiday house is ideal for 3 couples. Secure gates make the yard safe for small children too. It’s a short walk down Oyster Bay to Swanwick Beach. 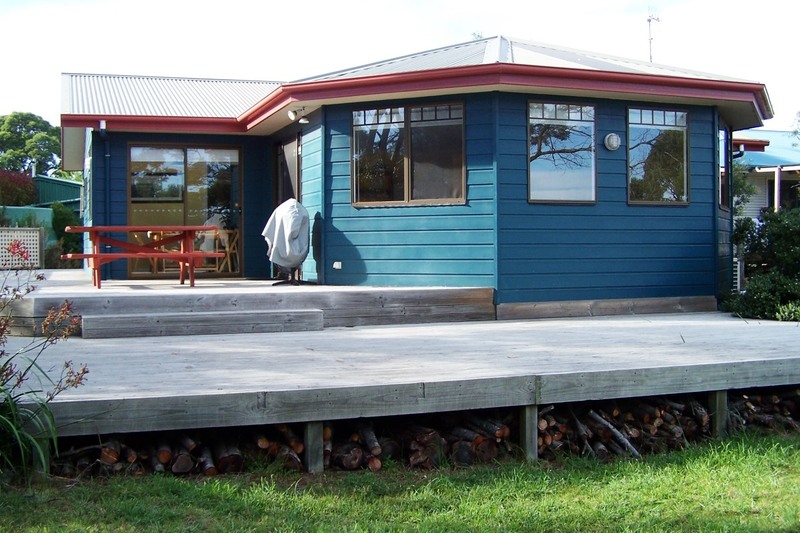 A self-catering holiday house that sleeps up to 7 in peace and comfort. 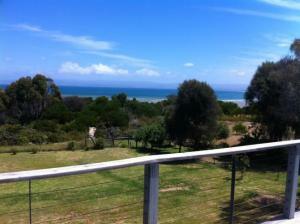 Featuring a large deck with BBQ and views; minutes to the beach, National Park and shops. Coles Bay with an unsurpassed view over the bay and opposite the boat ramp, offers everything you need for a luxury stay with shops and beaches at your door. Eagle Peaks at Freycinet luxury accommodation on Tasmania’s East Coast, offers stunning views of Great Oyster Bay, Freycinet Peninsula and Schouten Island. Consisting of two beautifully appointed and luxurious Ocean View Studios, and a spacious, contemporary Beach House, Eagle Peaks is a perfect destination to explore the beauty of the surrounding area, or to simply relax in superb comfort and style. Tariff: Studio – Low: $295 High: $405. Beach House – Low: $315 High: $425. Rates are based on 1 or 2 guests. All rates include complementary continental breakfast provisions. 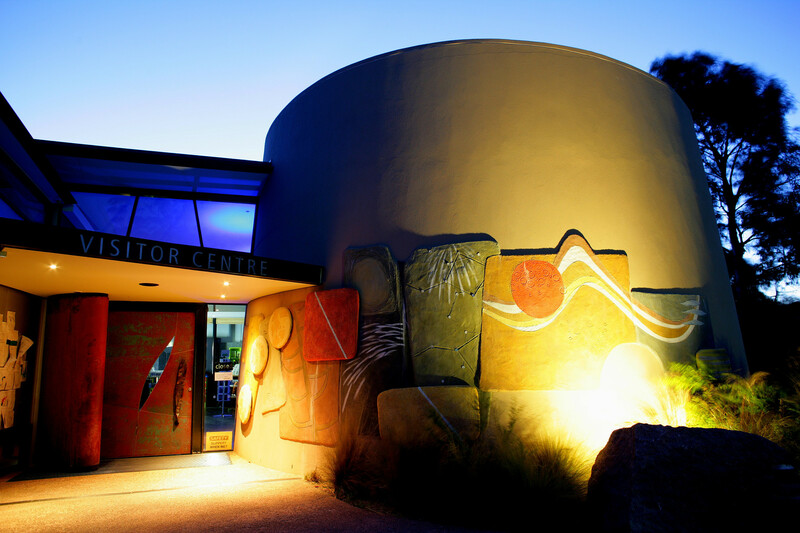 The Edge Restaurant is located at the waterfront eco- integrated resort on the Freycinet Peninsula. View the sunset on ‘The Hazards’ mountains from our waterfront a la carte restaurant. Modern bistro cuisine using fresh local produce. Open for pre-dinner drinks from 5:30pm every evening, dinner only, all public welcome, bookings preferred. Elangu Beach House is a brand new 3 bedroom self-contained holiday home being able to sleep up to 6 people.one room with a queen size bed, one room with a double bed and the other room with two single beds. A modern fully equipped kitchen with open plane living area a sliding door opens to the undercover entertainment area with a gas BBQ and outdoor setting for you to enjoy dining in the outdoors on those warm summer evenings. Sandpiper beach is only a 5min walk from base, 2min walk to Golf course and 5min drive to Coles Bay and Freycinet national park. Wine and Food tasting. Join one of the lodge guides on a journey through Tasmania’s cool climate wine and food regions all from the comfort of the main lounge room, with log fire businesss over looking the Great Oyster Bay. Tasmania is renowned for full flavoured whites and rich delicate reds. 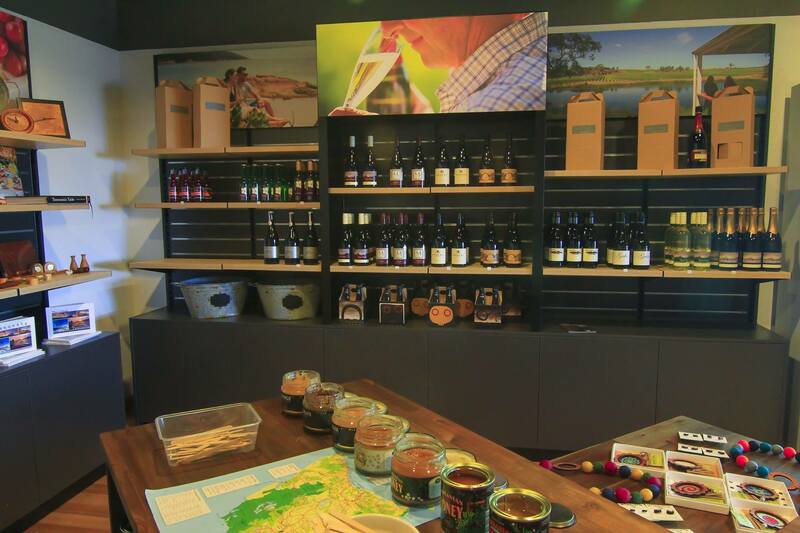 Sample seven varieties of Tasmanian wine complemented with fresh local produce. A great way to sit back, relax and learn about the Tasmanian wine industry. All wines are available to be enjoyed at the Bay Restaurant with your evening meal. Must be 18 years or over to join. When: Around 4:30 each evening. 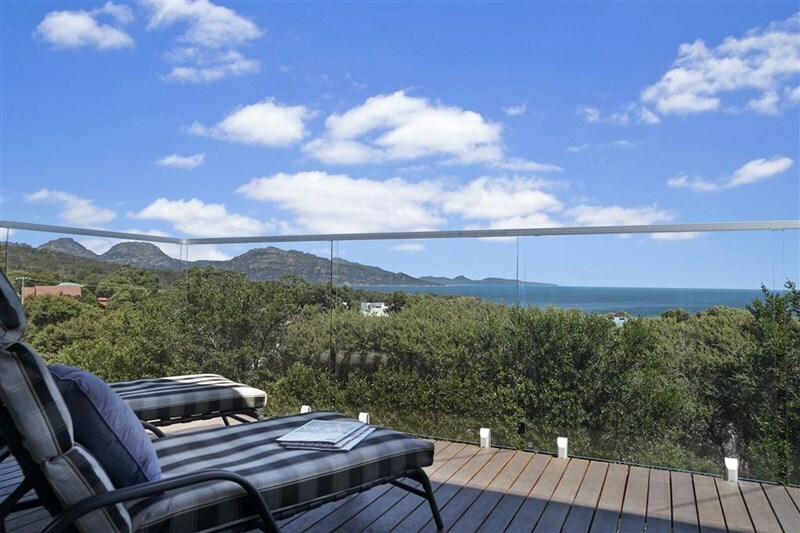 Forest Edge has spectacular views of the Hazards Mountains and Honeymoon Bay from the expansive front deck, with a rear deck facing the native eucalypt forest adjoining Freycinet National Park. It has a large open plan living area incorporating dining and lounge facilities and a modern kitchen with quality appliances.There are four bedrooms and two bathrooms over two levels that can sleep up to eight people (two queen size beds, a double bed and a single bunk bed and single bed). Tariff: $240 – $350 (based on 2 guests, extra person $25 per night). Discover Freycinet from a different perspective on our relaxed, guided sea kayaking tours (listed number 4 on Channel 9’s “Australian Things to Try Before You Die”.) 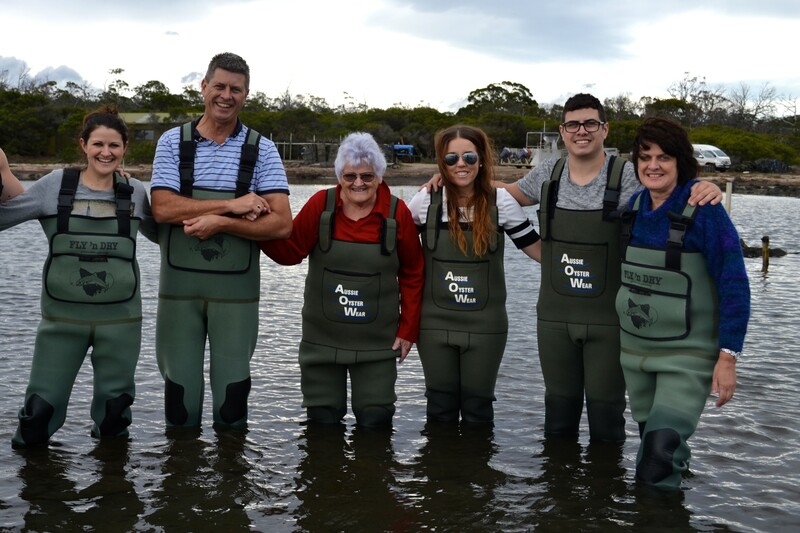 Join us on The Freycinet Paddle for your personal tour of Freycinet National Park, or paddle on The Oyster Paddle for a once in a lifetime experience in Freycinet’s protected wetland site whilst tasting oysters fresh from the clear waters. Multiple award-winning tours suited to all ages and fitness levels. Tours depart daily, year round. All you need to bring is yourself! 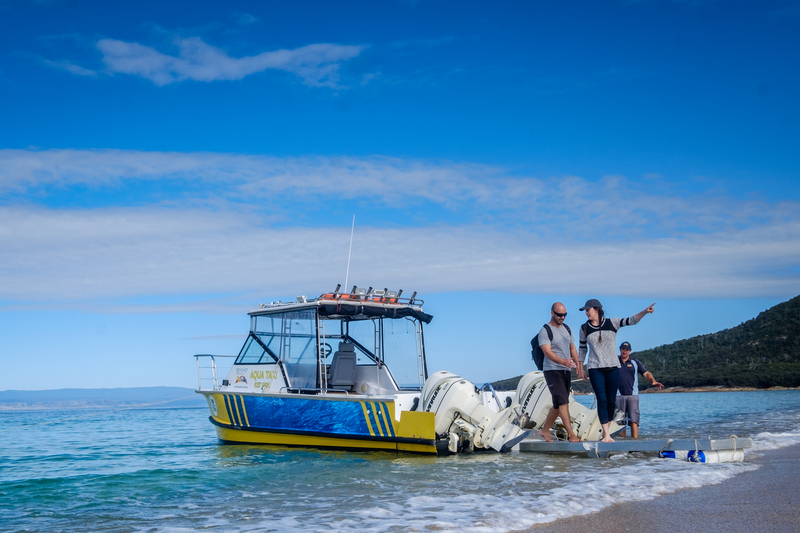 The Aqua Taxi allows you more time to enjoy the many spectacular beaches and walking tracks in Freycinet National Park. Enjoy a day trip or pack some supplies and camp. Offering one way or return fares from Coles Bay to Hazards Beach (short flat walk to Wineglass Bay), Cooks Beach and Schouten Island. We operate scenic & charter flights over Tasmania’s East Coast from Friendly Beaches. 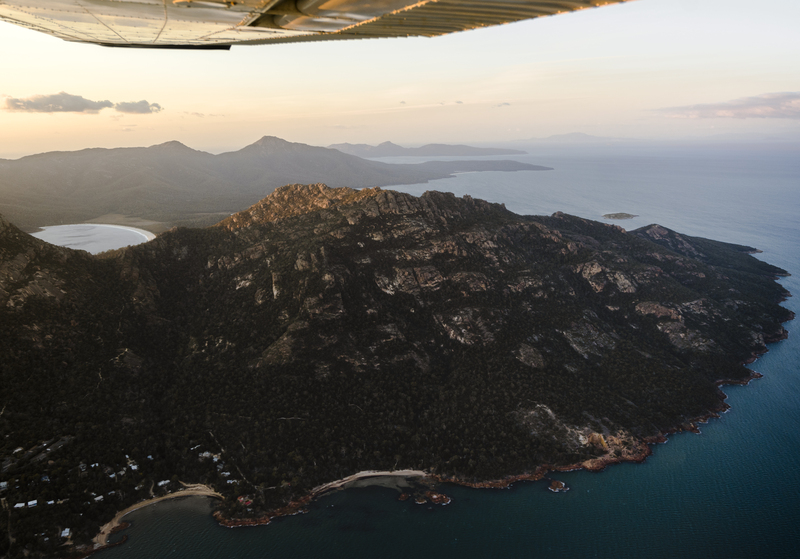 Join us on a flight over beautiful Wineglass Bay, a once in a lifetime experience. 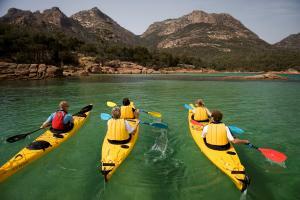 The best way to see Freycinet in a day is from the water. Freycinet Charters operates out of Coles Bay and offers exclusive, personalised charters for families, special interest and social groups in and around Freycinet National Park, Wineglass Bay and Great Oyster Bay. Hourly Rate Charters (book the whole boat for your family and/or friends). 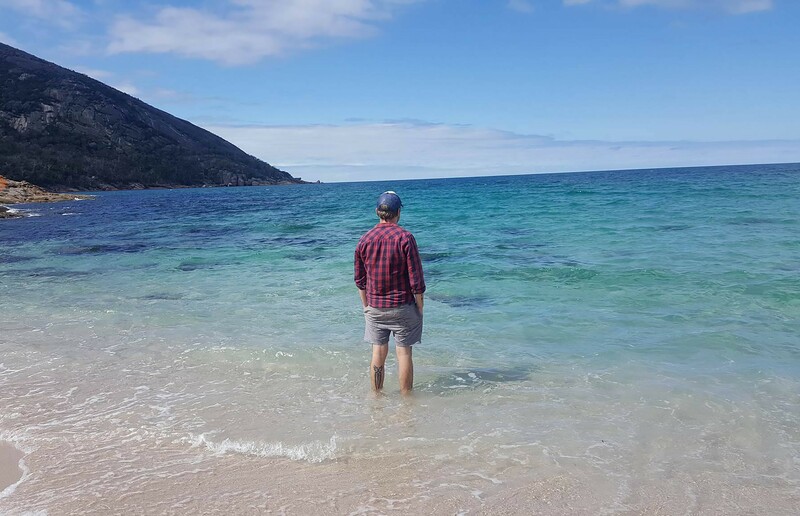 An Easy Way to Wineglass Bay (Via Hazards Beach and the isthmus track). Pickups from Coles Bay Boat Ramp Jetty (Also Swansea Jetty or Freycinet Lodge Jetty by request). We are flexible – willing to change around our sessions (when possible) to suit your needs. Very neat 1 and 2 bedroom semi-detached units. 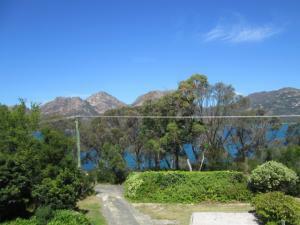 Ideally located and with private covered balconies looking across Coles Bay to the Hazards. Ideal for small families, couples and solo travellers. Over four days we will bring you through the treasures of the Freycinet National Park including the iconic Wineglass Bay, returning each night to the award winning and secluded Friendly Beaches Lodge. Recently built luxury accommodation, for up to 8 people. Decorated with quality furnishings, 4 bedrooms and 2 bathrooms. 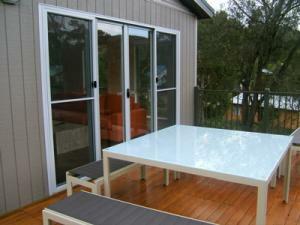 Located in Coles Bay, 30 metres from Freycinet National Park with a spectacular wilderness outlook. Harvested daily. Beautiful Pacific Oysters, Tasmanian Blue Mussels, Scallops, abalone, calamari and Rock Lobster (when in season). Enjoy your seafood on our deck cooked or take away to enjoy later. Open 9am to 5pm 7 days a week. Open daily for park entry passes, walking information and camping bookings. Browse the park shop for souvenirs or be inspired with a book from the extensive natural history selection. Cosy for 2 or up to 8 people. 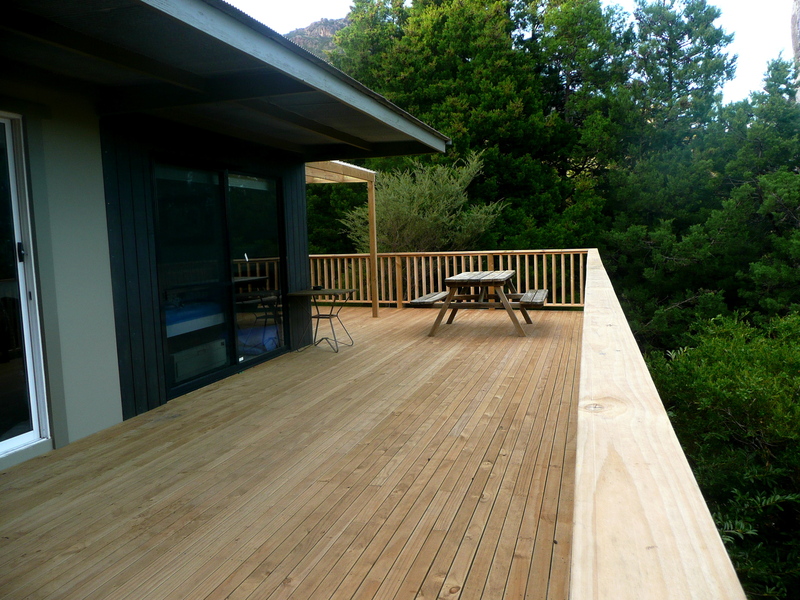 Relax on the deck with a glass of wine while you cook your BBQ and absorb the breathtaking view of the Hazards. Tassie’s newest Paintball Field overlooking the Moulting Lagoon on the Freycinet Peninsula. 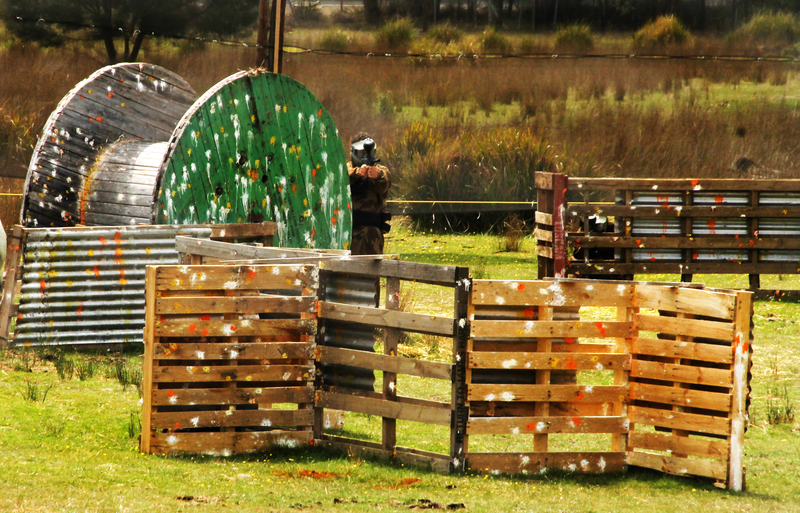 Six acres of rustic bush style fields featuring bunkers,trenches, realistic props & barricades including an army truck & boat! Groups from 8-30 welcome. Ideal for Birthdays, Bucks/Hens parties, staff parties, corporate/team bonding. Book now for an unforgettable adrenalin fuelled experience! 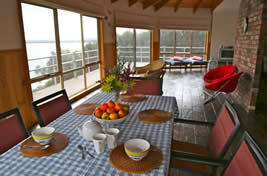 Freycinet Rentals offer a range of Holiday Houses, Cottages and Unit accommodation throughout Coles Bay. Catering from large families down to solo travellers with something to suit every budget. Freycinet Retreat is a 1200 acre “Land for Wildlife” property set in the centre of the Freycinet Peninsula offering accommodation in two purpose built eco-lodges, and eight carefully designed self-contained Ocean View Eco Studios, each of which can accommodate up to two adults in king (6ft) beds. 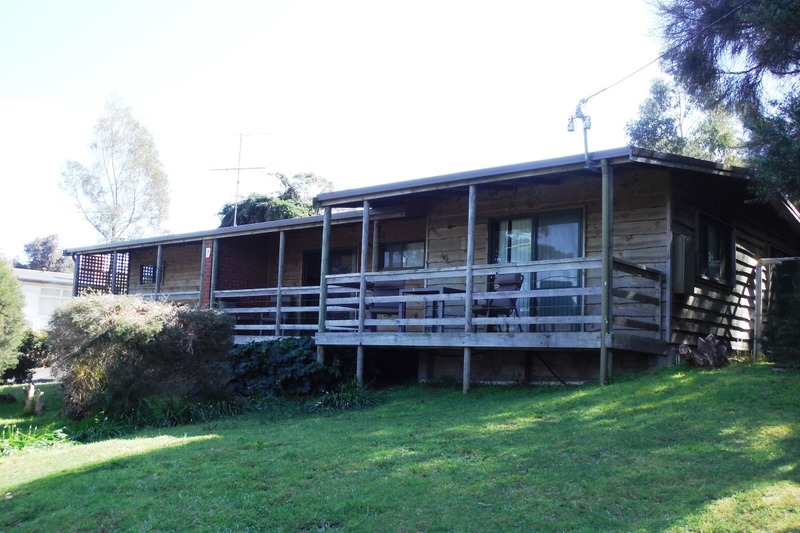 There are stunning views of the Hazards mountain range, Great Oyster Bay, Maria Island, Friendly Beaches and the Tasman Sea, all from this property. 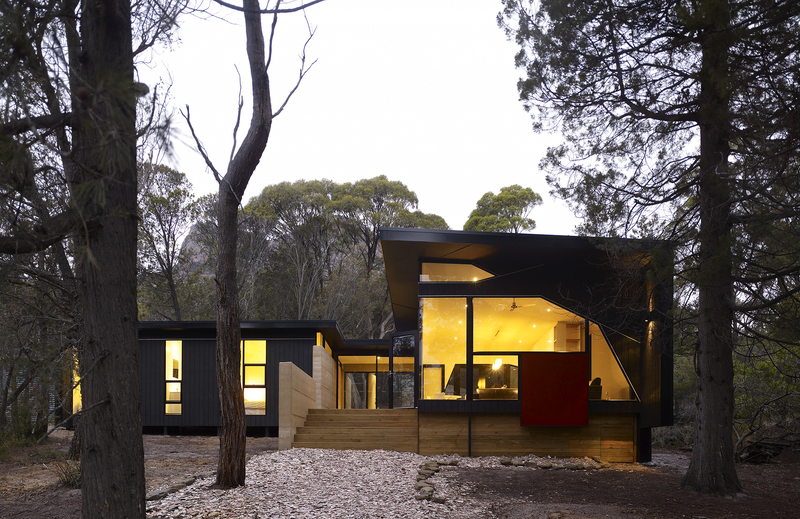 Freycinet Retreat is a nature lover’s paradise where wildlife abounds and trails lead from the door. In addition to the accommodation we also have the Arc, which is an 80 sq metre space with a commercial kitchen. We run a variety of adult recreational learning events from here, such as workshops, masterclasses etc. It is also available for hire, in conjunction with the accommodation, for similar activities. 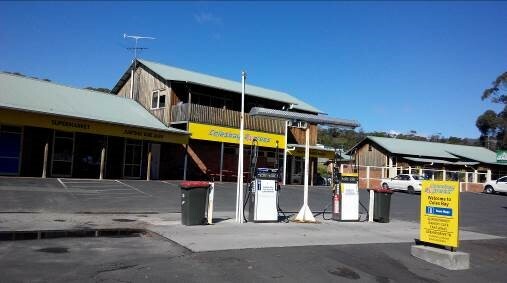 We are located 9kms north of Coles Bay, along the Coles Bay Road. To find us, take the C302 towards Coles Bay, and after about 17kms you will see a sign for Freycinet Retreat on the left. Take this gravel drive and follow the signs through the property to Reception. 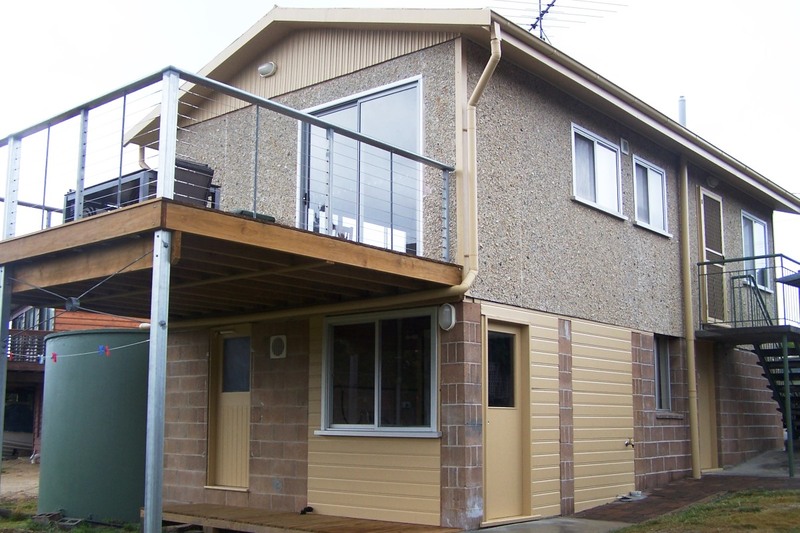 Perfectly located 3 bedroom house at 5 Garnet Avenue, sleeping up to 6 people. 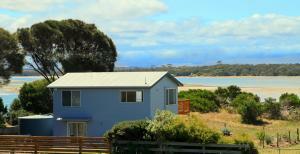 Great views across the bay to the Hazards, with Richardson’s Beach only minutes away and local cafe and shop next door. 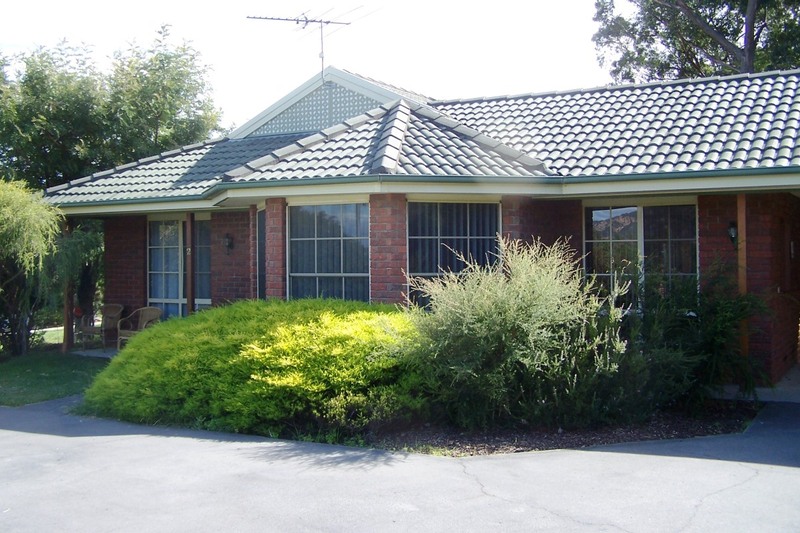 2 well appointed 3 bedroom villas at 1 Bradley Drive with sleeping for 6 people in each. Less than 1km to the Freycinet National Park and only a short walk to nearby beaches, shops and restaurants. Take a journey through Whisky history at Freycinet Lodge, where you have the chance to sample three of Scotland’s finest whiskies and compare them against three of Tasmania’s best, all matched with fresh Tasmanian produce. These Tasmanian whiskies can also be enjoyed while dining at Freycinet Lodge, or in the Hazards Lounge. Must be 18 years or over to participate. Please book 30 minutes prior to the activity (cancellation fees apply). 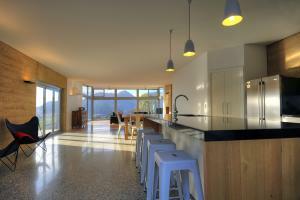 Freyscape is a luxurious house in the heart of Freycinet. 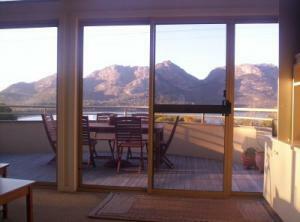 The only 4½ star holiday rental in Coles Bay, we provide the quality our picturesque location demands. Ge’ographe is a 7 day a week Restaurant espresso bar, serving breakfast, lunch, dinner. 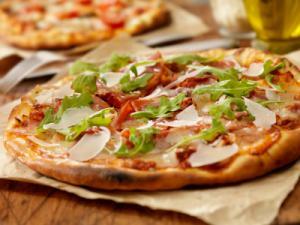 Fully licensed, great wood fired pizza. Overlooking Coles Bay & the Hazards. Granite Beach House is fully self-contained with everything you need to have a memorable stay while visiting this amazing region. The kitchen is spacious and well equipped to cater for a cook up while dining in and watching the sunset. Granite Beach House has three spacious bedrooms and sleeps up to 6 guests. Enjoy a glass of wine in front of the fire while gazing out at the ocean. This house is perfect for families, friends or couples wanting to be near the beach & local attractions. 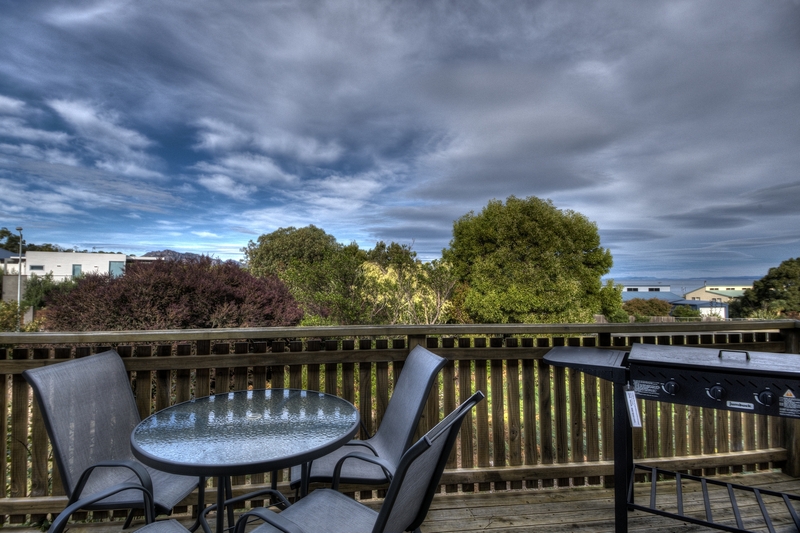 Haven on Hazards has fantastic ocean views overlooking the Great Oster Bay and The Hazards Mountains in the distance. A spacious 4 bedroom holiday house which sleeps up to 8 people and is equipped with everything you need to thoroughly enjoy this spectacular and pristine region. Comfortably furnished throughout, a spa in the bathroom and a well-equipped kitchen. This property is a short walk to local beaches. 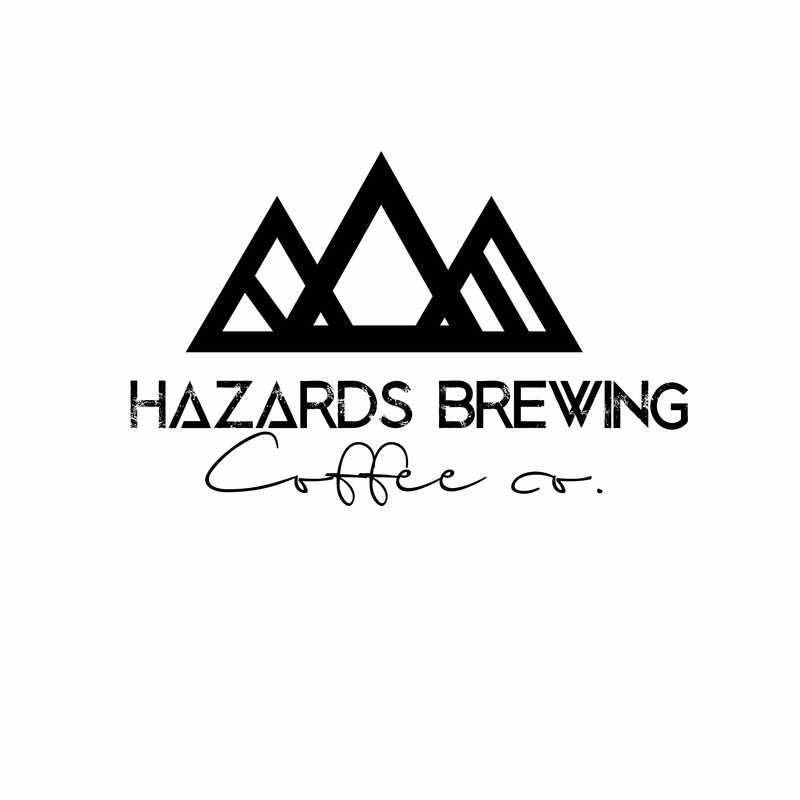 Hazards Brewing Coffee co is a wanderlust coffee van based out of Coles Bay on the stunning East Coast of Tasmania. This café on wheels serves up a selection of Tasmanian goodness from coffee and tea to homemade baked treats. Sus us on the socials for operating locations. Swing by, drive through, have a chat and a brew or two! Modern bedsit adjacent to main house. Set in peaceful surroundings, Hazards Escape is perfect for a couple or single getaway. It is self contained, with queen bed with electric blanket, living area, tv, and dvd player. 2 nights for $200.00 or $120 per night. Hazards Rim is an architecturally designed beach house offering a unique and comfortable experience in a natural setting.The beach house is nestled on the edge of Freycinet National Park, the gateway to Wineglass Bay.The accommodation offers very comfortable open plan living with a fully equipped modern kitchen. The large lounge has floor to ceiling windows and includes a flat screen TV with DVD, CD player, stereo.The house sleeps four people in two bedrooms – one queen room and one king size bed that can be split in two. Tariff based on 2 guests, extra person $40 per night. 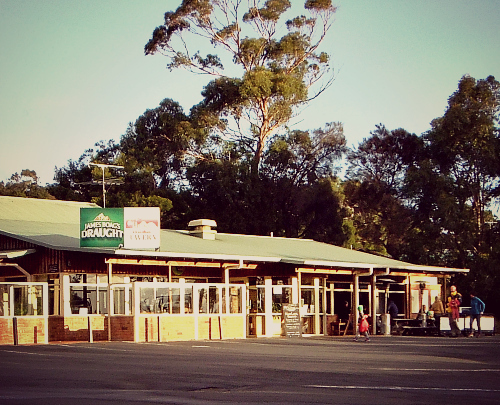 Here at the Iluka Tavern we offer our services between 11am and 8pm or later. Lunch and dinner are served daily. We have a great selection of local beers and wines that you can treat yourself to at the bar while enjoying the view or takeaway from our bottle shop. Jukebox, Pool table, TasKeno and indoor play area are onsite. On the East Coast of Tasmania lies magnificent Freycinet National Park a peninsula with a dramatic coastline of cliffs, coves and beaches. The breathtaking towering granite mountains, known as the Hazards dominate the landscape of the Park surrounded by the stunning turquoise waters of Coles Bay and Great Oyster Bay. At the edge of the peninsula lies magnificent Wineglass Bay. Two room Guest House in Coles Bay. King size beds (or 2 singles), private en-suite, free Wifi, & Netflix on the Smart TV’s. Continental breakfast is included. Special dietary requirements catered for. Maximum 2 guests per room & 4 guests total. Nano brewery onsite. Book a Tasting Session and try our in house brewed, handcrafted beers. Tasting Sessions start from $24 and are strictly for In House Guests only. The ultimate oyster experience. Wade into the crisp waters of Freycinet Marine Farm. Hear, touch and see the way we farm our delicious oysters. 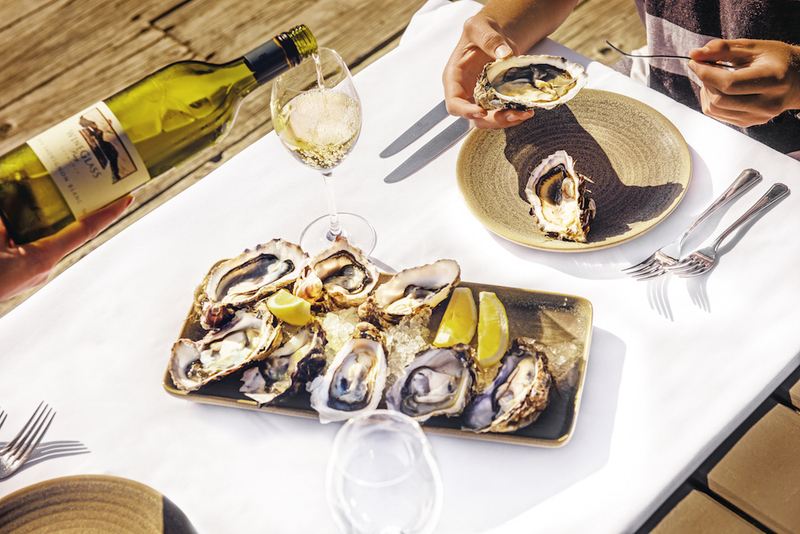 Harvest some oysters fresh from the rack, watch a shucking demonstration, then relax and enjoy a fresh harvest of oysters and cooked mussels, paired with a matching local wine. 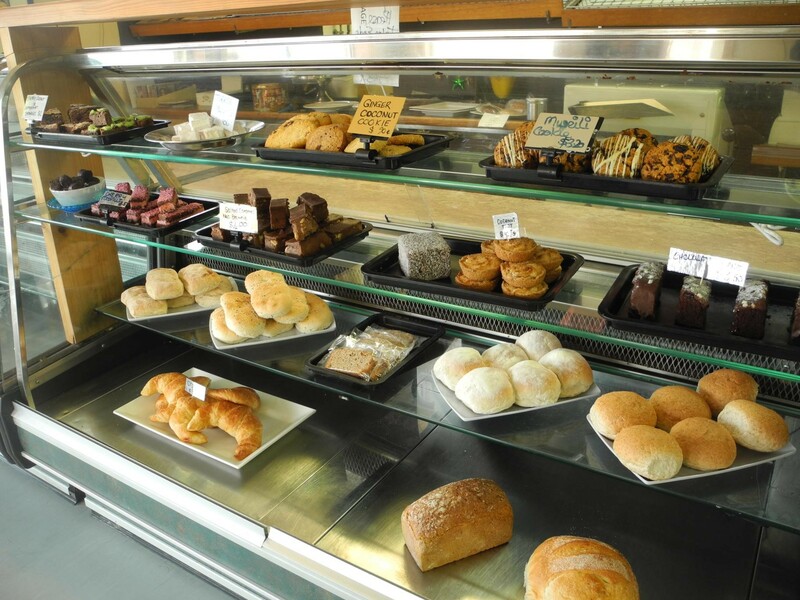 Departs daily from Freycinet Marine Farm shop. 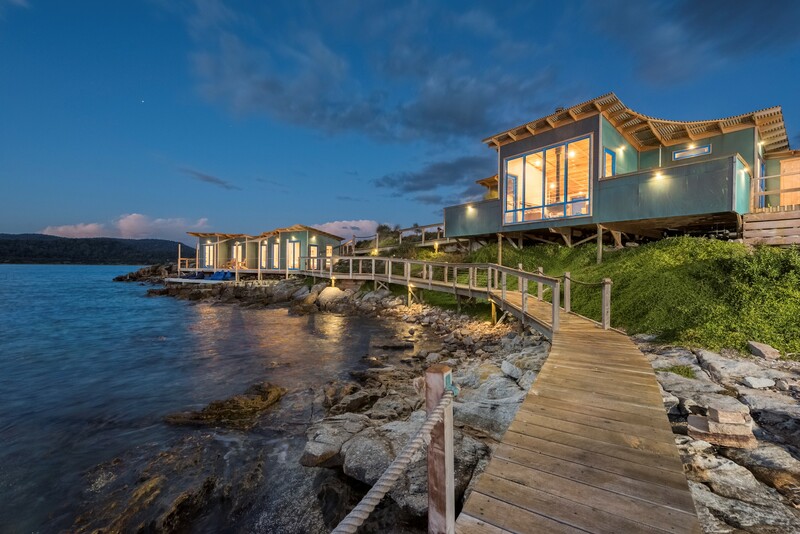 Nestled on the banks of Moulting Lagoon along the Freycinet peninsular, amongst bushland is Oystercatcher, an architecturally designed beach holiday house where guests can completely relax. Guests can explore the lagoon and its wildlife, walk along the water’s edge, go fishing and swimming directly from the property. Only a 10-minute drive to the Wineglass Bay walking track & The Hazards Mountains. 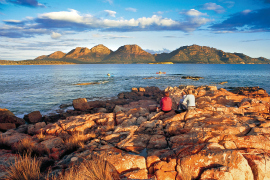 For the ultimate Freycinet experience why not rent your own private island for up to 10 people? Fish off the jetty, dive for abalone and crayfish, view the resident penguins, go off island to visit Wineglass Bay or simply relax with family and friends. Rustic and authentic luxury, this will be a highlight of your East Coast adventure. 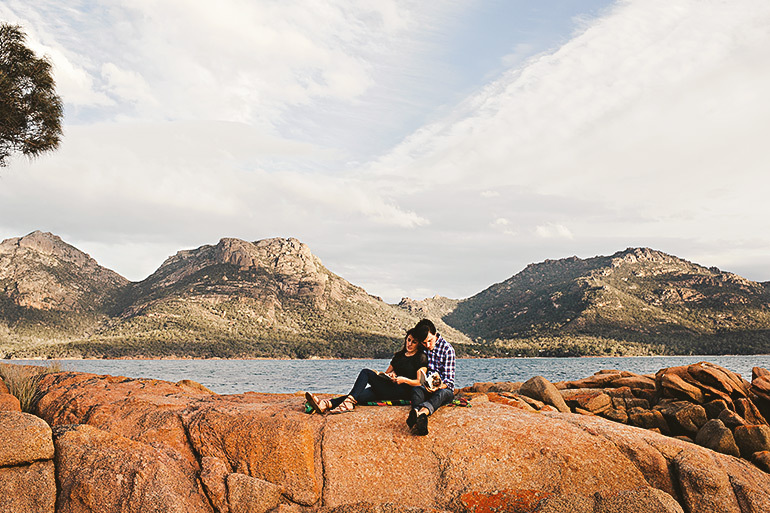 When you visit Freycinet National Park and Wineglass Bay, be sure to call in to Providore Wineglass at Freycinet Lodge for a complimentary tasting of some fine Tasmanian produce. Whether you are looking for a snack for the trail, a gift for home or a special treat for the road, Providore Wineglass’ superb range will ensure you can take a little bit of Tassie with you. Overlooking Coles Bay, Richardson’s Bistro offers delicious casual dining complimented with a great range of Tasmanian wines and beers. Open daily from 10am until late. 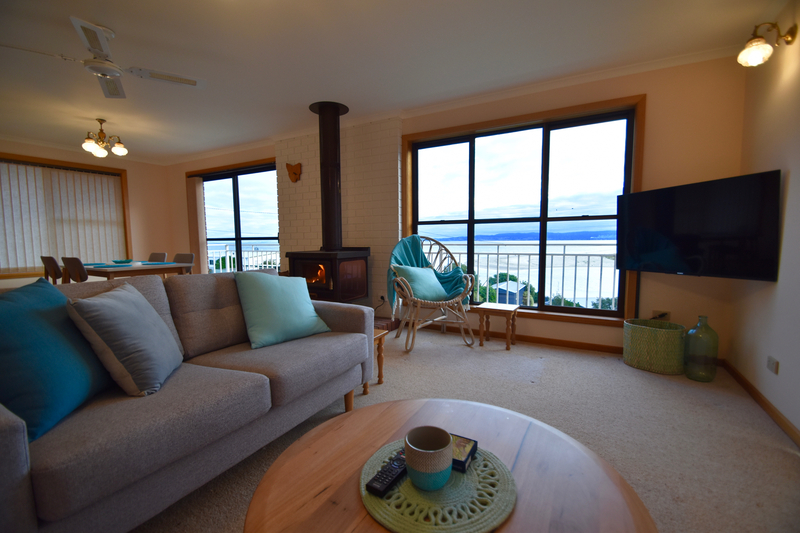 Enjoy superb views of the Hazards and Great Oyster Bay from this spacious family holiday home right on the waterfront – perfect for an extended stay in any season. Accommodates 6. Beach a short walk away. 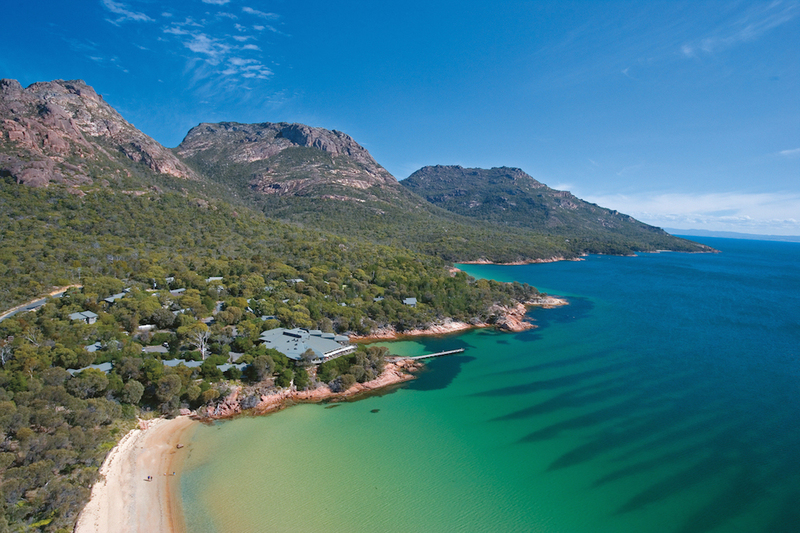 Saffire Freycinet rises from its surroundings as a premium luxury lodge. Staying at Saffire is an experience designed to enrich and uplift, giving a new perspective in this unique environment. Experience the thrill of sailing in our new, luxury Oceanis 41 yacht. Part or full day cruises taking in spectacular scenery or overnight to Wine Glass Bay. Maybe a romantic twilight cruise – sip some sparkling as you watch the sunset. All options include gourmet food and drinks. Sandpiper Beach House is a beach front, short term, holiday rental. 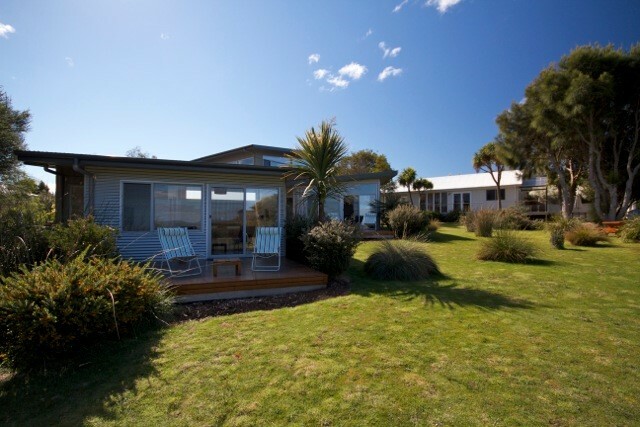 In an idyllic setting, this modern, light and bright beach house has a great deck area and is in a peaceful setting. Enjoy a great break year round in our comfortable architect designed and purpose built waterfront home. Savour delicious Tasmanian breakfasts. All other meals available by arrangement. Special dietary requirements catered for. Beach 200 metres. Low season special for direct bookings (phone or e-mail) at Sheoaks – 1 June till 31 October. At Coles Bay our average winter temperature in the mid teens. It’s usually great weather for walking and you’ll often be the only ones on a beach or track. Then return to our cosy sitting room and relax in front of the Coonara till dinner. book all 3 rooms at Sheoaks for 2 nights and we’ll provide free evening meals for your party of 6 both nights. 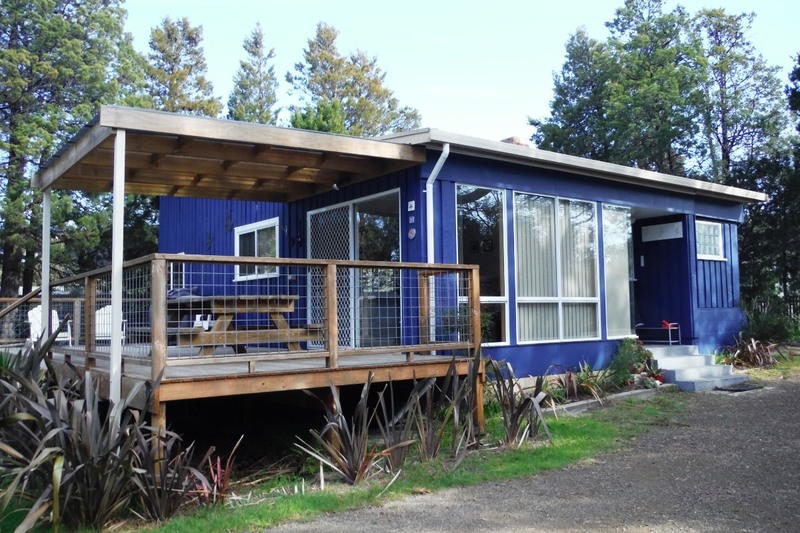 Peaceful, private, nature lovers 2 bedroom retreat ,adjacent to Pelican Bay. 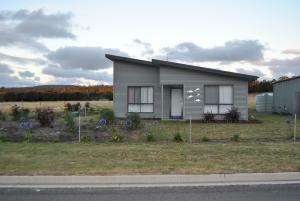 Centrally situated between 2 National Parks on the Freycinet Peninsula. Sunset & star gazers paradise! Our Andrea’s Cottage is 100 metres away accommodates 9 persons. 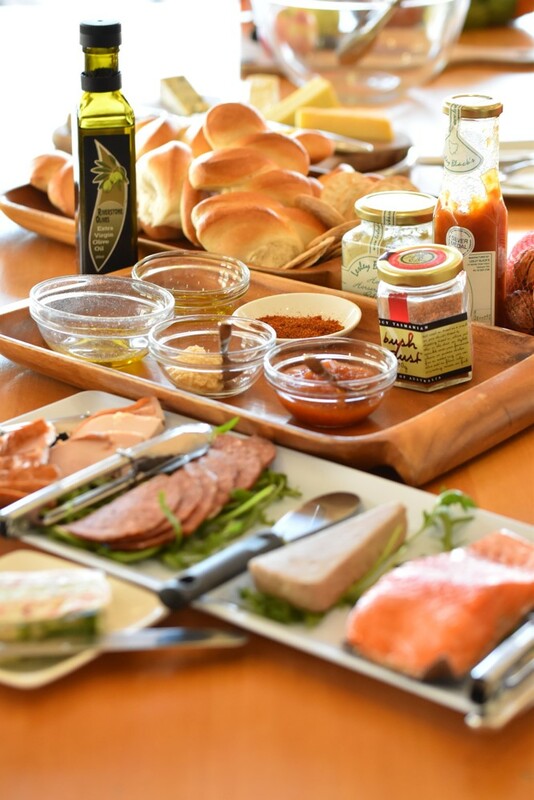 Enjoy exquisite cuisine, fresh produce and local wines at Freycinet Lodge. 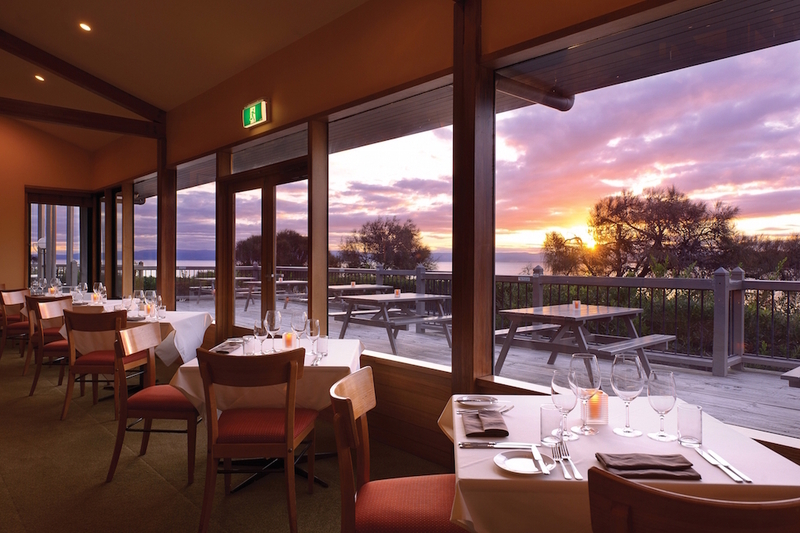 With panoramic views of Great Oyster Bay, The Bay Restaurant offers premium dining featuring superb local seafood. Situated just minutes walk to the National Park Beach , Jetty shop & slipway. Magnificent views from large living room, expansive front deck, even from the kitchen sink. Just sit back and enjoy the view. A large rear deck has BBQ and is ideal for star gazing. Fully enclosed yard with off-street parking. 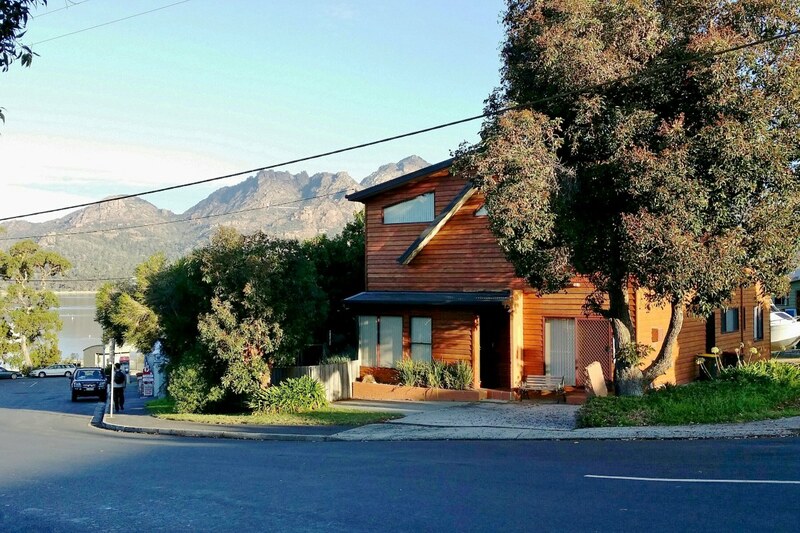 Newly established self contained accommodation, only a short drive from the world famous Freycinet National Park, which contains the internationally renowned Wineglass Bay and the Friendly Beaches. The Blue House has been designed and renovated for one purpose only – to create a great business for people to come and holiday. 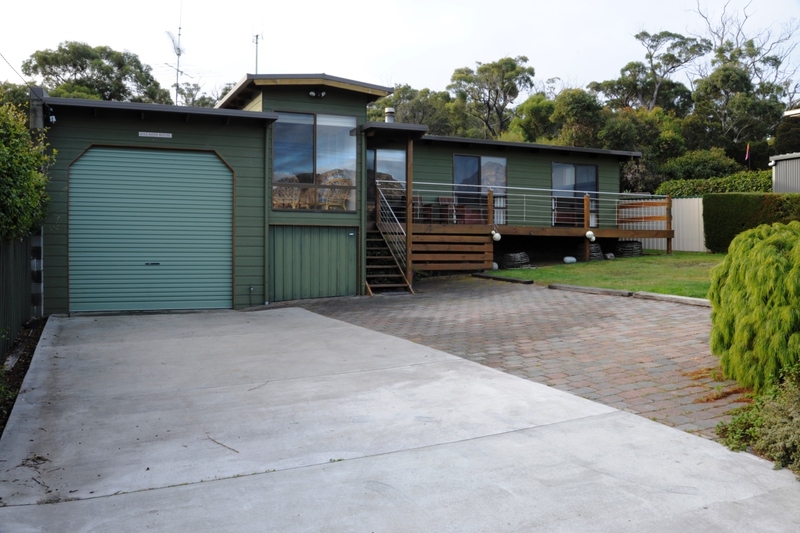 The position of the house is great, it is only a few meters to the water via a private access track from the back gate and is only a very short drive to some of Tasmania’s best treasures. The Loft offers luxury self-contained accommodation that makes you feel at one with nature. 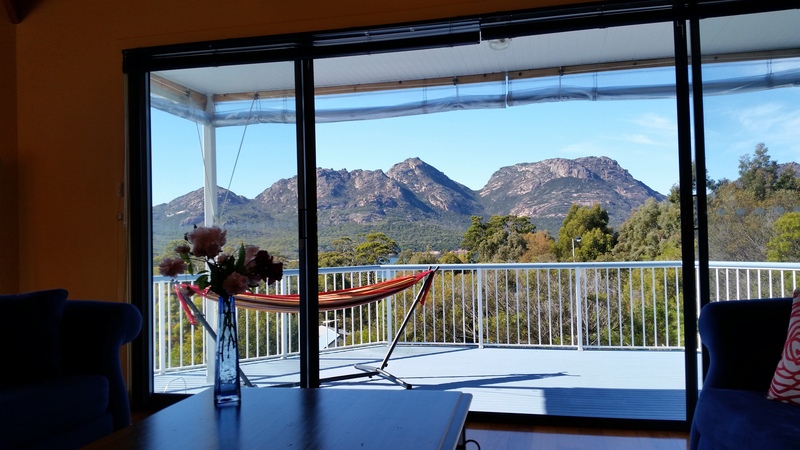 Magnificent views all within 700m of the Freycinet National park. This brand new boutique style accommodation has a versatile layout that provides visitors with accommodation for up to 10 people. 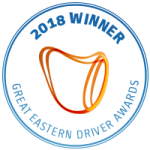 Come on a journey of Gastronomical Proportions indulging in local Food and Wine that have put the East Coast on the map and a food lover paradise. Visit the Marine Farm for Oysters, Mussels and Scallops, 3 Vineyards and finish with a tasty dessert. Picking you up from and retuning you your accommodation, join us for a fun day tasting and laughter. The Long Lunch Tour Co.
Our experiences of gastronomical proportions begin again for summer on 21 October. Contact Brad on 0409 225 841 to book. We are famous for our homemade chocolate coated berry ice creams – but we are more than an ice cream shop. 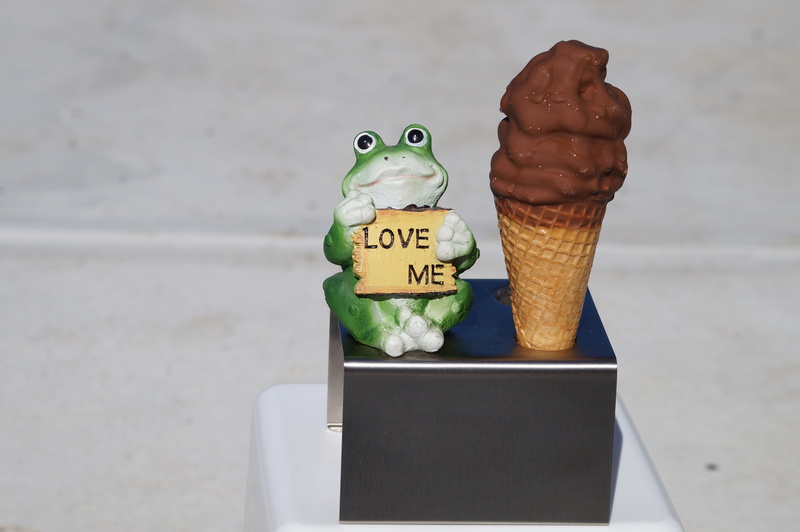 We also offer coffee, Devonshire teas , muffins, cherry wines, local liqueurs jams and gifts – especially frogs! We are happy to help with information and things to see in our area. Waterline is an elevated, spacious and well equipped 3 bedroom family holiday house. 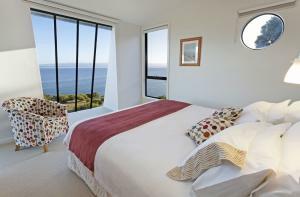 Main rooms have stunning views of Great Oyster Bay. Our local beach is only a 5 minute walk away. There is a Tasmanian beach that’s often named among the world’s best. Wineglass Bay looks more than comfortable on a postcard – its Bombay Sapphire waters lapping a familiar white quartz curve. But you can’t just park your car beside it and whip out your beach umbrella. 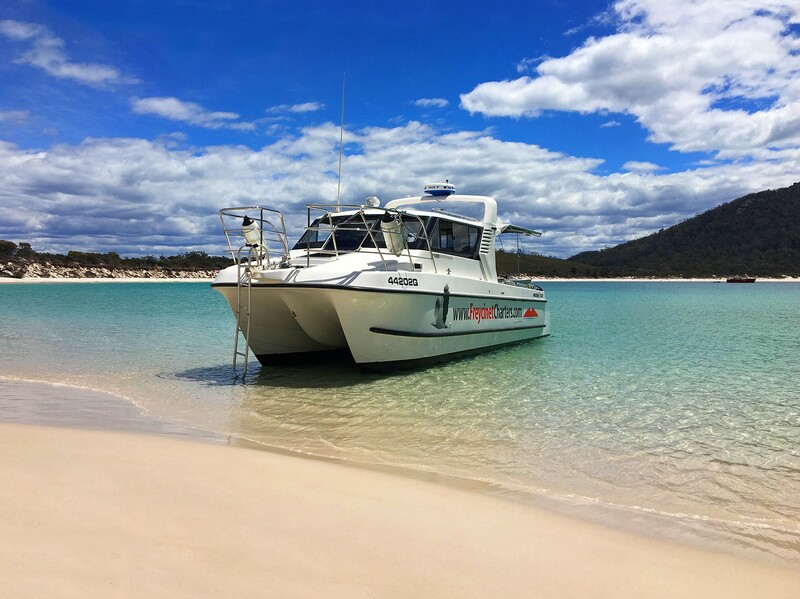 It takes walking, flying or boating to see this beauty and hopping aboard Wineglass Bay Cruises – the best pick. 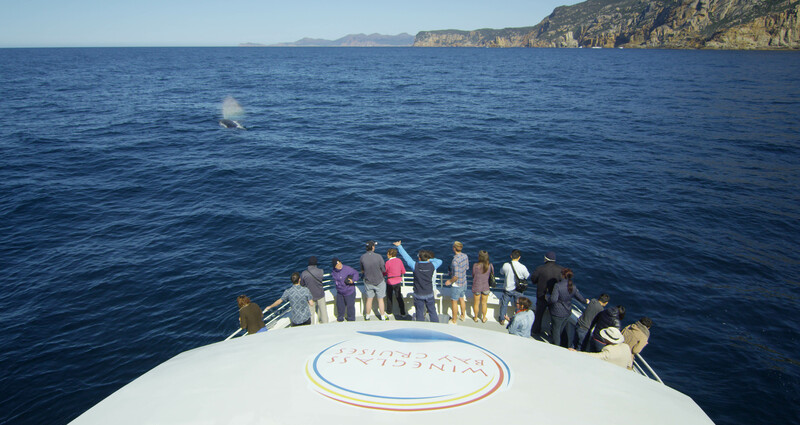 Why experience Wineglass Bay aboard Schouten Passage II? Because arriving by boat to one of the world’s finest beaches and being fed oysters is pretty special. And having dolphins shadow you along Freycinet Peninsula, as if eager to share their playground, is equally special. Although the boat holds some 140 people, when you’re on the bridge with skipper Duncan Sinclair, it feels like you’re on his private boat. Operates daily from September to May. Closed Christmas Day. All tours depart from the Wineglass Bay Cruises Office located on the Jetty, Jetty Road, Coles Bay. The cruise duration is four hours and runs from 10am – 2pm daily.